While Robyn Pope Gardens is primarily a full service Landscape Design business, My Garden Design in a box is a way of making my gardens available to people who want to do it themselves. With GIB, an outdoor garden space will be designed especially for you including your ideas along with my resources. A design plan with all the information necessary to install your garden space will be mailed to you in a hand crafted box. 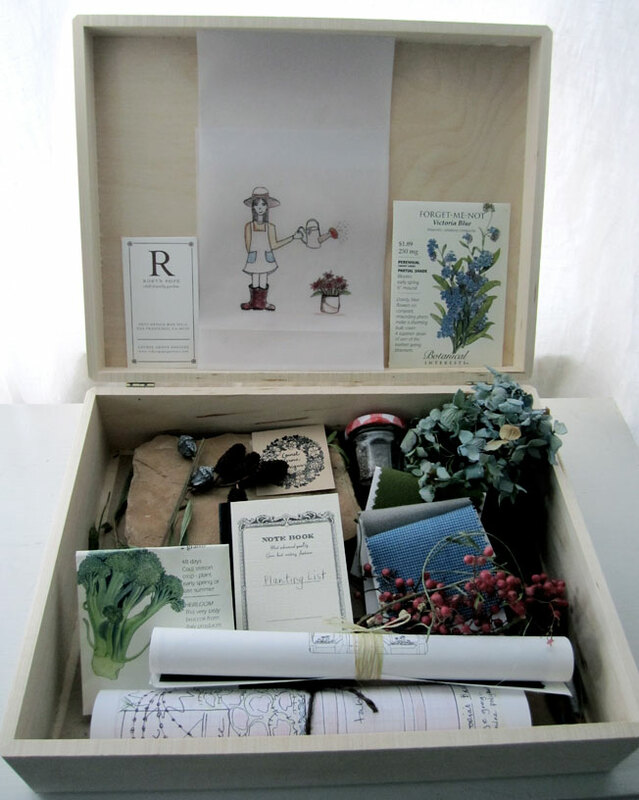 Not only is Garden in a box simple, fun and cost-effective, it also makes a great gift. The gardens that I design and the images that I write about on my garden blog are meant to inspire people to bring their indoor living outside. The next step toward designing a garden space yourself is to click on the link How to Get Started!